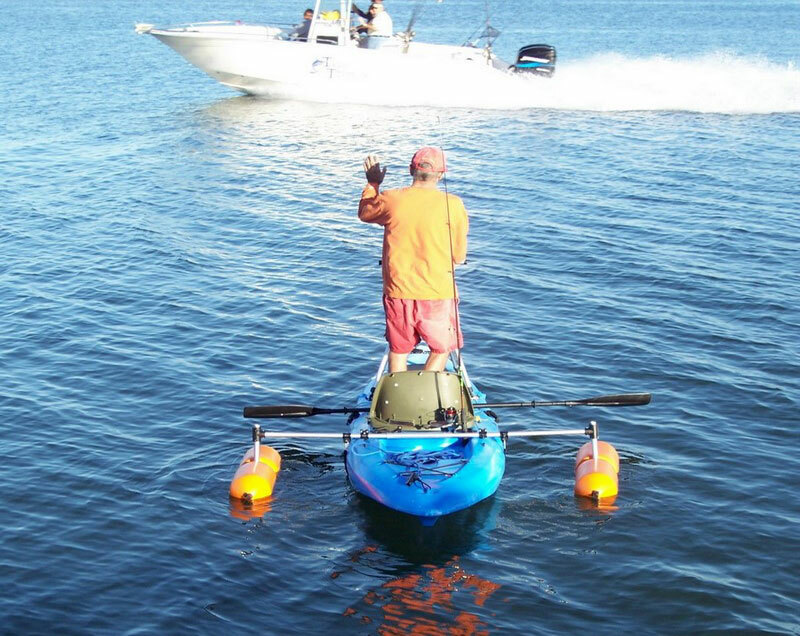 It takes no more than a few minutes to attach the outriggers / stabilizers and you are ready to go. 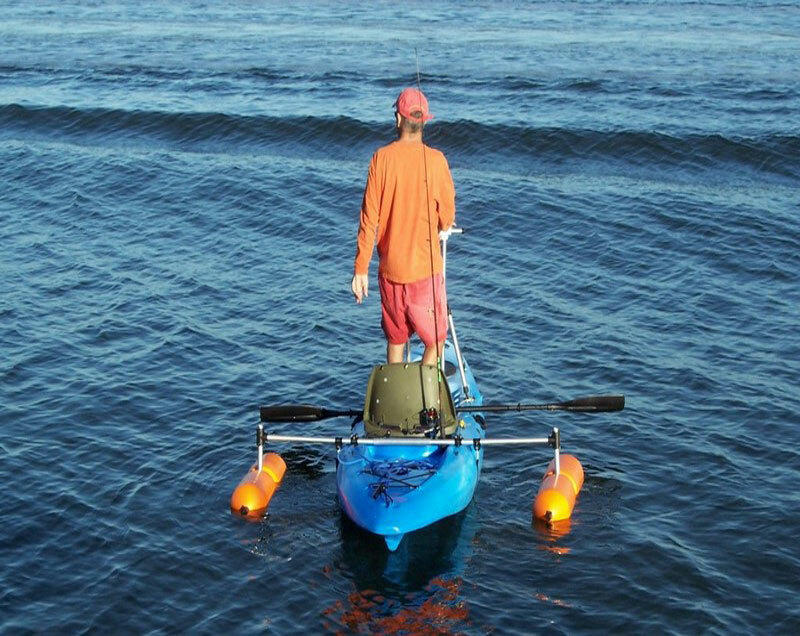 Our Outriggers are fitted with universal mounting stainless steel hardware, that adapt to all types of kayaks, including the inflatable types. 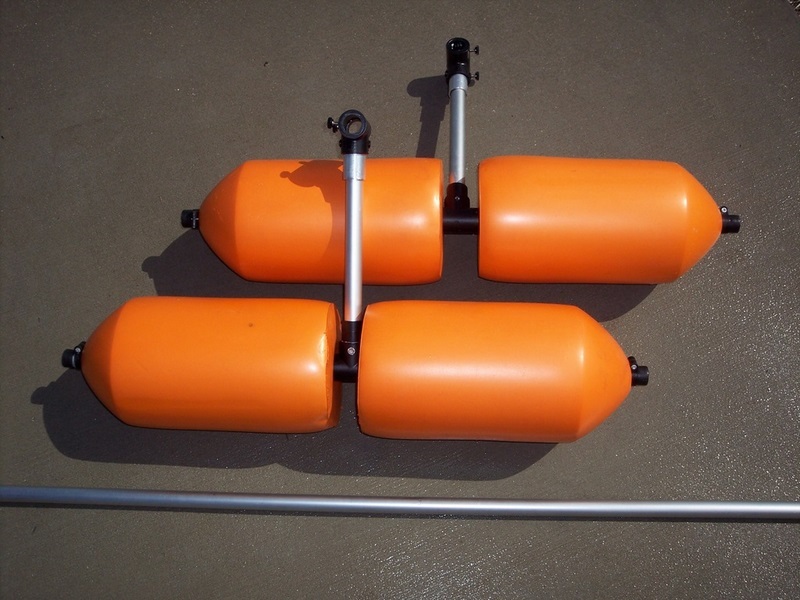 Once installed, their removal is quick and they break down in smaller pieces, to fit in your car trunk. 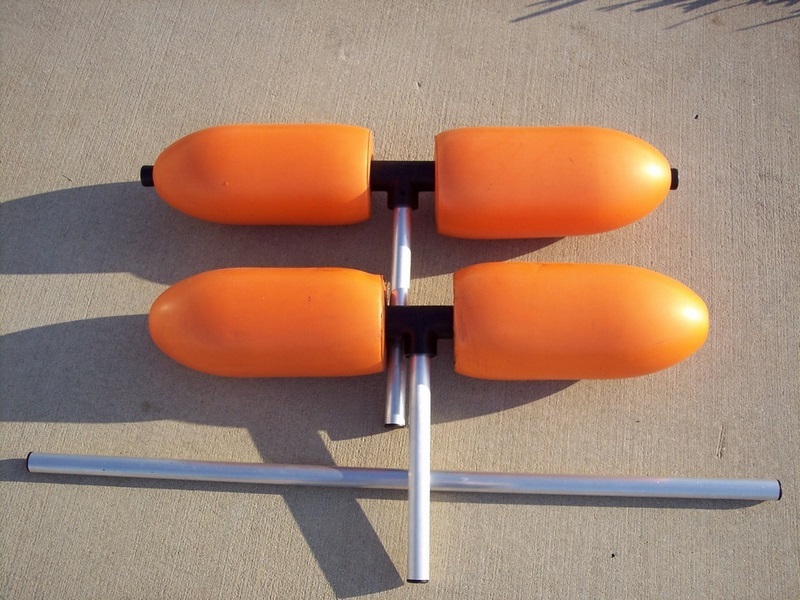 outriggers/stabilizers and a Leaning Post. 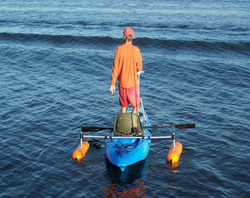 Our outriggers / stabilizers don't cr﻿eate ﻿water resistance when paddling. 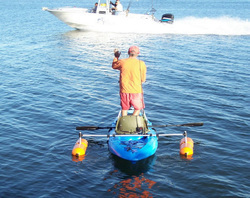 This is an important factor since smaller sized outriggers tend to dig into the water creating drag. 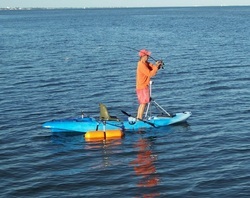 and stretch your legs, knowing you can stand, cast and net without fearing of toppling over. 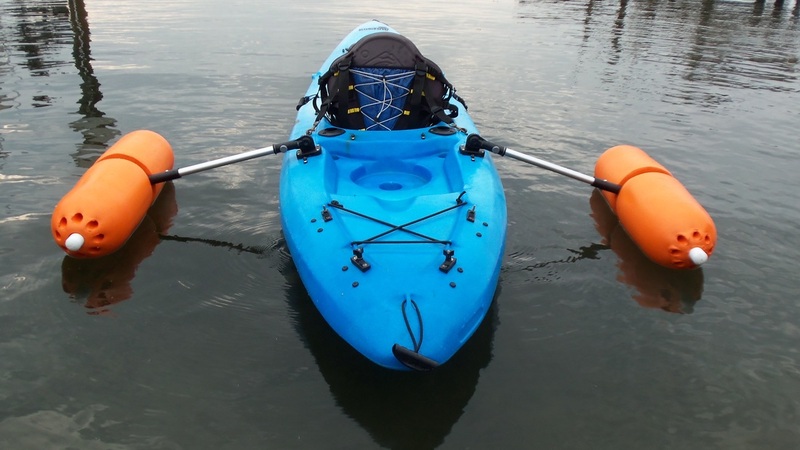 allowing 70 lbs of buoyancy on each side of your kayak, totaling 140 lbs of buoyancy or can float 400 lbs. In fact, they can easily support the weight of two people confidently. 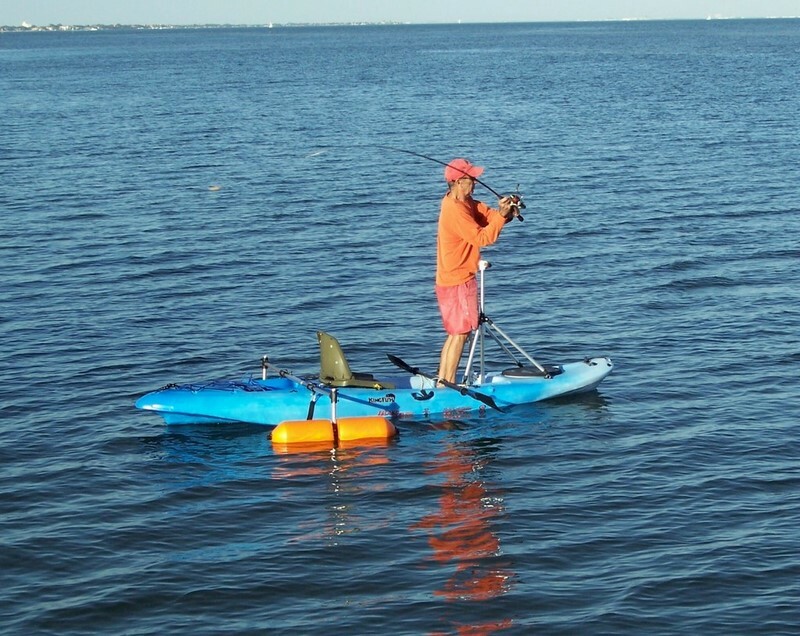 Kayak Outriggers and Stabilizers are designed to help you to stand and fish, also providing a stable platform to move about while casting and prevents kayak flip overs.